Favored by Olivia Culpo, Demi Lovato, and Cobie Smulders, Gianvito Rossi‘s ‘Portofino’ sandals will comfortably get you through any event from date nights to evenings out. 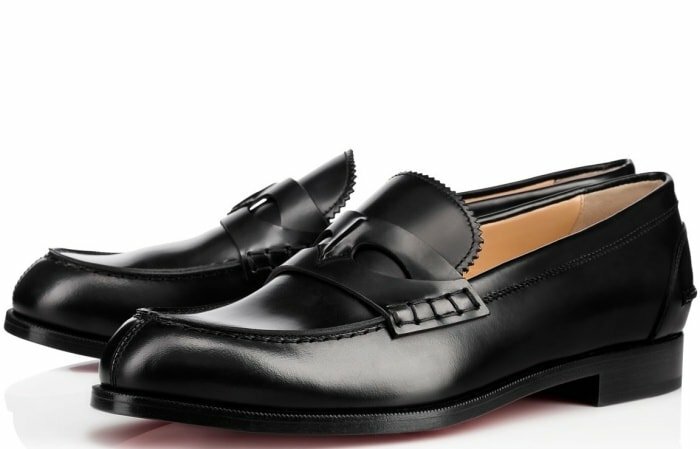 They’ve been hand-finished in Italy and have a supportive panel at the heel. Below you’ll see how some of our favorite celebrities styled their gorgeous sandals from the son of decorated Italian shoe designer Sergio Rossi. 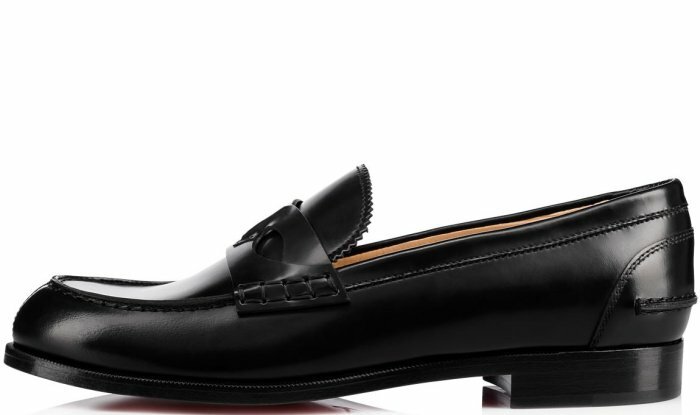 You can buy them at Farfetch, Mytheresa, Barneys New York, and Saks Fifth Avenue. 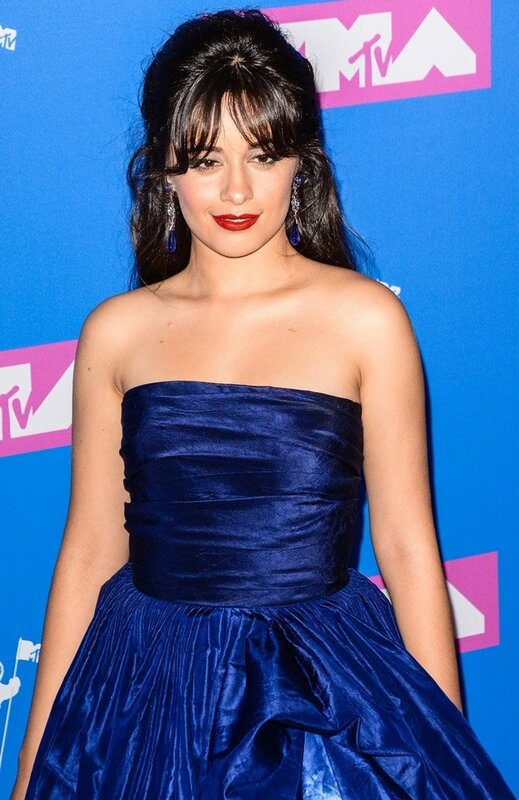 The 21-year-old “Havana” singer hit the carpet at the 2018 MTV Video Music Awards in a navy halter gown from the Oscar de la Renta Resort 2019 Collection featuring a square neckline, a fitted gathered bodice, and a full skirt ($6,890 at Moda Operandi). Accessorizing with Chopard jewelry, Camila Cabello finished off her outfit with metallic leather ‘Portofino’ heels. Margot Robbie picked silver ‘Portofino’ sandals for the premiere of her movie ‘Peter Rabbit’ at The Grove in Los Angeles. She was joined by her co-stars Rose Byrne, James Corden, Domhnall Gleeson, Elizabeth Debicki, and director Will Gluck. The 27-year-old Australian actress and film producer styled her sandals with a white floral dress from the Brock Collection Pre-Fall 2018 collection. She completed her romantic ensemble with Ana Khouri earrings and a quirky Judith Leiber Couture hard-shell minaudière clutch bag in bunny shape that you can purchase at Neiman Marcus. Just two months before Margot Robbie’s movie premiere, Karlie Kloss hosted the 2017 Fashion Awards, which served a slew of interesting looks from celebrity attendees such as Zendaya, Kaia Gerber, Rita Ora, Selena Gomez and Alexa Chung. The 25-year-old model brought her style A-game at the star-studded event, donning a multitude of ensembles as she fulfilled her hosting duties. As for her red carpet entrance, Karlie turned heads in a red Vivienne Westwood Couture gown that featured a strapless neckline, a corseted design, an elegant drape detail and a sweeping train. Her beauty look consisted of side-swept waves, a bold red lip and stunning Lorraine Schwartz jewelry. She finished off her look with the celebrity-favorite Gianvito Rossi “Portofino” sandals ($407.50 – $815 at Net-A-Porter). These shoes feature an open-toe silhouette, two leg-lengthening straps, and circular buckles. Karlie Kloss at the 2017 Fashion Awards held at the Royal Albert Hall in London on December 4, 2017. She was joined on the red carpet by English fashion model Jourdan Dunn, who looked fabulous in a bright orange Versace dress styled with metallic heels. Shortly after that, Karlie was spotted at the Los Angeles International Airport in a casual-cool ensemble that’s easy to emulate. The Victoria’s Secret Angel exuded cool-girl edge in a Saint Laurent leather biker jacket over a crisp white Hanes x Karla T-shirt (available at X Karla). Karlie styled it with J Brand “Maria” skinny jeans (available at Net-A-Porter) and Saint Laurent sunglasses. She finished off her effortlessly stylish airport look with Christian Louboutin “Montezumo Donna” loafers worn with white socks.